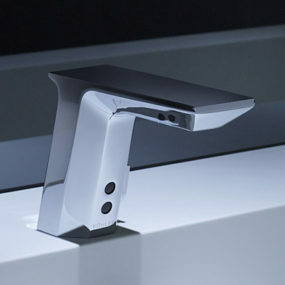 e-ON is the latest hands free faucet design from Sonoma. 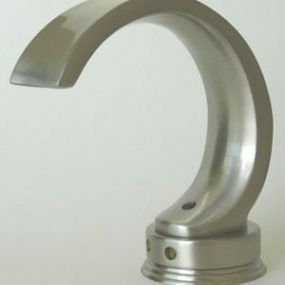 What’s unusual about these automatic faucets is that they employ electromagnetism for a quick hands free action. 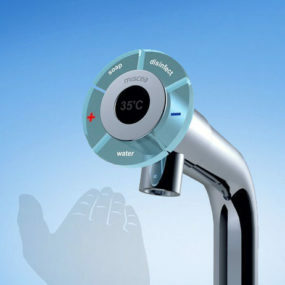 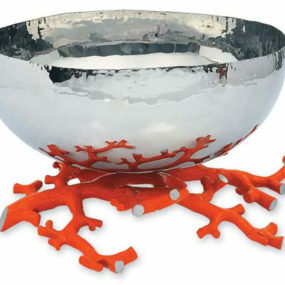 The design is free of unreliable infra-red sensors commonly used in automatic faucets, as there is no need to wave hands to make it work. 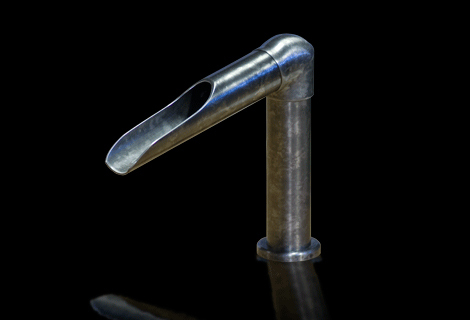 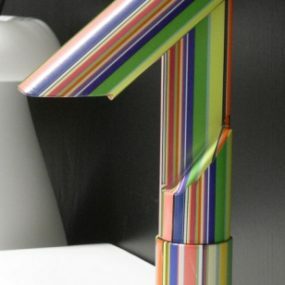 The spout itself serves as the sensor. 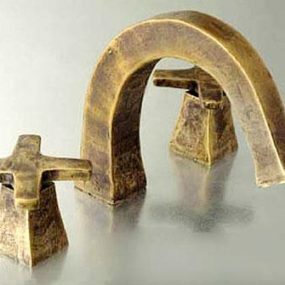 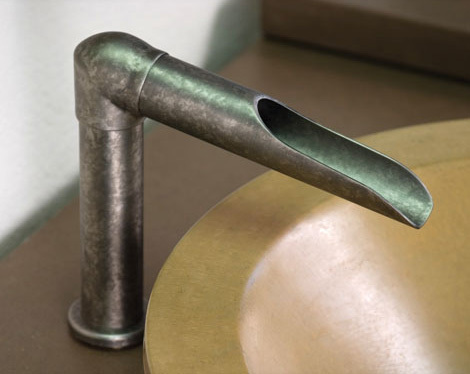 It’s available in six elegant faucet styles and it reliably works every time as long as it is properly installed. 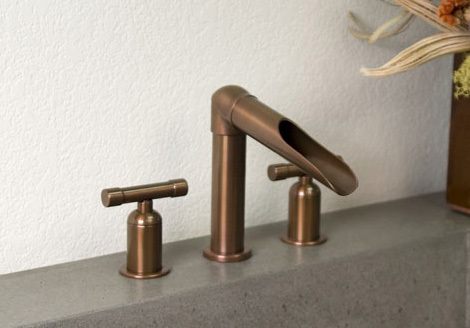 “The key to this faucet working flawlessly is to isolate the spout from any metals that will carry the magnetic field or anything that may carry electric current and interfere with its operation.” So using a trained plumber is desirable when installing these faucets. 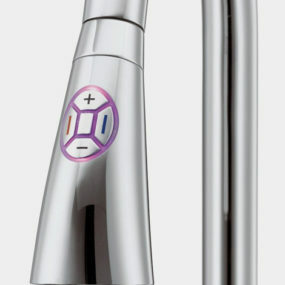 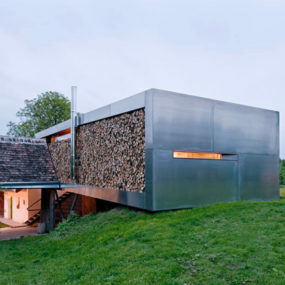 Innovative technology is not the only thing about the e-ON designs. 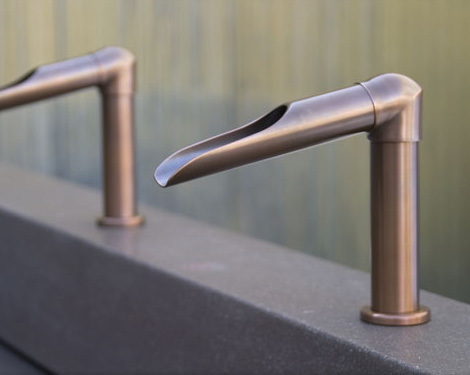 If you’re looking for a high-end rustic style faucet or maybe a Zen like design then this is the perfect product for you: simple elegant lines, substantial size, generous water flow, definitely Zen inspired, with bamboo-like spout and automatic. 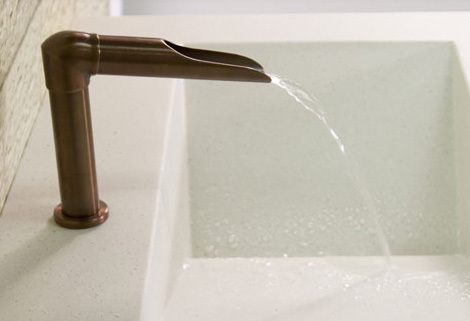 The e-ON bathroom faucets just cannot be better, and they work for both commercial and residential installations. 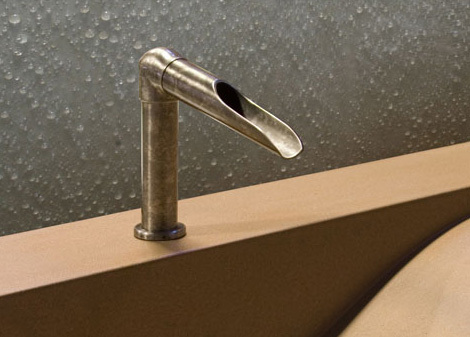 Don’t want an automatic hands-free version? 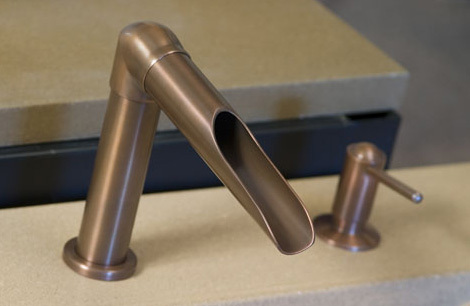 Sonoma now offer the same faucet in a conventional configuration, with handles.